Summary: Expats in France share tips about applying for the Carte Vitale, PUMA, supplemental health insurance, English-speaking doctors in France, having a baby and more. In 2016, France's new universal healthcare system, Protection Universelle Maladie (PUMA), enabled both non-EU and EU expats to apply for health coverage after living in France for 3 months. Prior to PUMA, EU expats had to wait 5 years to enroll. It is not a free system, expats and French citizens pay approximately 8% of their income for public healthcare. Retirees and students not generating income are also eligible to enroll. Unions de Recouvrement des Cotisations de S?curit? Sociale et d'Allocations Familiales (URSSAF) calculates how much enrollees pay. The Carte Vitale is the French health insurance card which gives legal residents access to France's new universal healthcare system, called PUMA (Protection Universelle Maladie). You apply at your local Caisse Primaire d?Assurance Maladie (CPAM) office. "After 3 months of legal residency in France, you may apply for a Carte Vitale (the French NHS card). It's not free, as you have not paid into French securite sociale, but the contributions run about 8% of your household income above 9600 euros. Depending on your and your wife's ages and medical conditions, this may or may not be less expensive than private insurance. In any case, the Carte Vitale does not take into account your age or medical condition when evaluating your application or calculating the contributions," commented another expat in France. "If I remember correctly, I applied to the French healthcare system four months after arrival and received my number within 3 weeks or less and my Carte Vitale a month after that," recalled one expat. For your first 3 months in France, before you may apply for the Carte Vitale, you'll need to obtain private health insurance in France. "Every legal resident of France must have health insurance. As British citizens, you will not need to request a long-stay visa to live in France (as the UK is still part of the EU for now), so won't have to show health coverage for the visa. If you are coming to work in France, you will join the public health system through your employment. If you are coming to retire, you will be able to request to join the system after three months of regular and stable residency. The French public health scheme is not free - you will have to pay contributions (premiums) just like every employee in the system does, whether via deductions from your paycheck or via a quarterly bill if you are inactive. What is important to you is that there are no age limits or exemptions for pre-existing conditions in the French public health system," explained one expat in France. An American with a French wife asked about health insurance requirements for his future retirement in France. He asked, "I am 63 years old American going to retire in France in a couple of years. My wife is a French national. We are trying to find out what kind of health insurance I need to purchase in order to get: + a short stay visa + long stay visa + residency permit. We are not sure if I have to get all the visas to get the residency permit. The insurance requirement is also very confusing. Do I need private insurance? When would I receive French insurance?" "In general, you'll need health insurance that covers you for your duration in France. You will need to show proof of this insurance at the time you apply for the visa at the French consulate closest to your home. Since your wife is French, however, you will apply for a family visa rather than a short/long stay tourist visa. Within two months of arriving in France, you'll go to the prefecture with your wife and the visa in your passport to get your 'titre de s?jour' or residency permit. Your wife can go to the local CPAM office upon arrival and fill out the CNAMTS 736 with her old social security number (if she has one). You will be covered as her dependent under the French public health insurance system PUMa. This will take a couple months, but you'll be able to cancel your private insurance (if the policy allows) once your wife receives her 'attestation de droits' which shows you as a dependent," answered one expat. "The American Hospital is a private hospital in Neuilly-sur-Seine, a close-in suburb of Paris. All the doctors there speak English, as do some of the nurses. Otherwise it is hit-or-miss finding health care in English in France, which is of course normal and to be expected," said one expat. The US Embassy in Paris publishes a list of English-speaking doctors in the Paris consular district, which covers Paris, Bordeaux, Lille, Lyon, Rennes and Strasbourg. A member of Expat Exchange asked, "My wife and I are wishing to retire this year from the UK to France. We understand that we need health insurance. Having made some preliminary enquiries the sorts of quotes I am getting are in the region of ?18,000 per year i.e. ?1,500 per month. I know I am just over 70 but these figures seem ridiculous to me. Are other UK expats in France paying this sort of money?" An expat in France replied, "If you are in receipt of a British Old age pension, the NHS will pay your health charges in as much as the French get paid. You are not penalised for pre-existing conditions. There is a top up health cover, which for us covers all other charges we pay for three of us a charge of around ?800 a year. Much of what you may have read is aimed at non EU citizens and so confusing. Check with the NHS. It could change after Brexit but most people think it won?t and you will still be covered. We have been here 12 years so I forget exactly how it worked. Also the rules change, but I would check with them first. I seem to remember that I applied for a French health card and after filling in a form they did the rest and get reimbursed by the British. The Mutuel can be obtained from a variety of providers and costs vary." 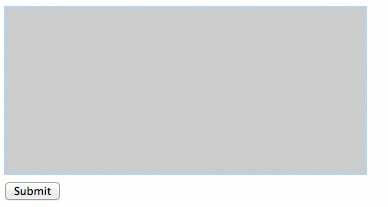 In a topic on the France forum about health insurance for pre-existing conditions one expat asked, "I recently found this site and joined the forum. My husband and I are hoping to retire to France within the next 4-5 years, and I have been looking into health insurance. It seems as if the recent PUMA (Protection Universelle Maladie) system is a huge change for expats, and the fact that private insurance is also much less expensive is another welcome discovery. What I am concerned about is the pre-exiting condition clause(s). Does anyone have experience with obtaining private insurance with a pre-existing condition? I realize this is a sensitive topic to ask about and that each circumstance is different, but I am trying to get an idea of what that does to the cost... double, triple, still insurable? Also, what insurance company would you recommend going to for info/quotes?" Another member replied, "I just completed my second year here, both in France and in the French health care system. I have supplemental insurance with Miel, have had no problems getting remboursements for specialist appointments and physical therapy for my pre-existing conditions. Let me know if you need more details." "Note that citizens also purchase supplementary health insurance from companies called Mutuelles," said one expat in a discussion about health insurance on the Spain forum. "My supplemental plan is under ?200 per month for excellent top up coverage and my government health contribution is roughly the same," added another expat. "Very affordable, even before I was on the healthcare system I paid less than 100 euros for full x-rays and a cast for a broken wrist. With healthcare, it's simply covered thanks to higher taxes," said one expat. "The health care in France is amazing - low cost, high quality. I spent the last ten years in Texas, and the cost of living is lower here, despite my sea views, easy access to 8 miles of beaches, and ability to fly, drive, or take a train to places I only ever dreamed of seeing," proclaimed another expat. "Tons of pharmacies in town, including at least one open on Sunday. 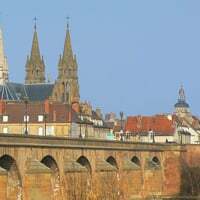 I don't have any prescriptions but my husband gets costs like glasses and contacts and shoe inserts covered through the government health insurance system," said one expat in Epinal, France. In a thread about Tip Not in the Guidebook, one expat advised, "You can't buy aspirin the the supermarket in France. But you can get a prescription for aspirin and the French healthcare system will reimburse you. So see a doctor and get a prescription. I have. Even so, every time family comes to visit us from the States, I have them bring a big bottle of low-dose. We ask family to bring Lactaid, too. I once asked a pharmacist how the French deal with being lactose intolerant. She said,"They don't eat cheese." Word. Make a list of the OTC and prescription drugs that you require to get through the day, vitamins and supplements included, then find out if they are readily available, or available at all, before heading for this side of the Pond." If an emergency medical situation arises which you feel requires immediate medical assistance, the following information will be helpful. Pompiers (Fire Brigade Department): dial 18. 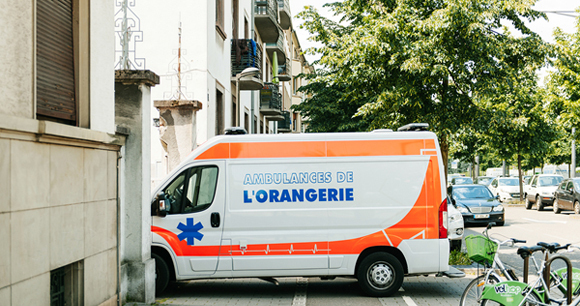 The pompiers may send one of their own ambulances or they may alert S.A.M.U., or SOS Medecins. They arrive on the scene faster and can provide basic life support. If a patients condition is unclear or appears critical, a car with specially trained firemen is usually sent ahead to administer first aid. In France, the S.A.M.U. is the national emergency organization. It has a 24 hour service and gives medical assistance for all medical emergencies. Its ambulances are manned by teams of trained personnel, and are equipped with emergency equipment for any cardiac or respiratory resuscitation. To reach SAMU, simply dial 15 nationwide or 01 45 67 50 50. S.A.M.U. should be called for life threatening conditions that require the assistance of trained medical professionals. These include: cardiac or respiratory emergencies (chest pain and/or shortness of breath), severe bleeding, severe asthma, stroke, and trauma resulting in multiple injuries. Be brief and concise when speaking with S.A.M.U. and give the precise address or location (if at home or in another building, please indicate the floor and the door code if any), your phone number, the caller and victim's names, the age of the victim and a description of his medical condition. You may be transferred directly to an English speaking specialist in the emergency services who will identify the type of emergency based upon the information you give (he/she may decide to refer your call to another ambulance service, i.e. SOS Medecins, in the case of a less critical emergency). SOS Medecins is a private company for less critical medical emergencies and house calls. They can be reached at 01 47 07 77 77. "I had all three of my children in France between 1997 and 2007, the first two with a saddle block and the last by natural birthing methods. The last experience was by far the best. While I would now say that the French tend to be overly medical and scientific about it all, on the other hand this is an excellent country to have children. The entire system is very smooth, fully paid for by French social security, and you can get all of the preparation you want with a private midwife, and/or through birthing classes. The overly medical aspect tends to make birthing seem like something incredibly risky and difficult, they sometimes are so busy warning you about possible dangers they forget to tell you the vast majority of births go just fine. But when they don't, you can be sure everybody is fully prepared to face emergencies. As someone else metioned, you are mostly assisted by highly experienced midwives during labor, with an occasional helping hand by the OB/GYN. Anyway, for those who are considering having a baby in France, fear not and do so. Do take advantage of the full range of preparation options offered by French social security. Do have the monthly visits and ultrasounds, do check into your chosen hospital starting on the 4th month. Make sure you get your paperwork with social security in order," advised one expat mom in La Rochelle, France.